Today, HTC VIVE announced a partnership with the World Economic Forum (WEF) to drive the VR/AR for Impact initiative forward, and to showcase its latest content at the United Nation’s (UN) Sustainable Impact Hub at the WEF 2018 in Davos. 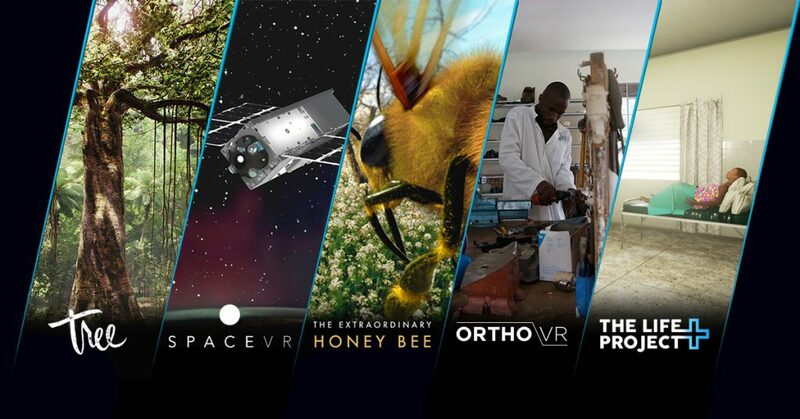 Originally launched by HTC at WEF in 2017, VR/AR For Impact is a more than $10 Million program to drive VR and AR content and technologies that will create positive impact and change in support of the United Nation’s Sustainable Development Goals. In collaboration with a core group of VR/AR leaders and the UN, WEF will drive the “VR/AR for Impact” initiative going forward, and as a core member of the group, HTC Vive will continue to design and create experiences as part of their collaborative, ongoing commitment to foster and champion the use of Virtual and Augmented Reality to educate and empower humanity. “We see so much untapped potential with VR/AR to drive positive outcomes for society in areas such as health and education, and we are looking forward to working with leaders in this space to build up this initiative in the coming years,” says Lauren Joseph, leader of the Electronics Industry Program at World Economic Forum. The Extraordinary Honey Bee is designed to help deepen our understanding of the honey bee’s struggle and learn what is at stake for humanity due to the dying global population of the honey bee. Told from a bee’s perspective, The Extraordinary Honey Bee harnesses VR to inspire change in the next generation of honey bee conservationists. LIFE (Life-saving Instruction For Emergencies) is a new mobile and VR platform developed by the University of Oxford that enables all types of health worker to manage medical emergencies. Through the use of personalized simulation training and advanced learning analytics, the LIFE platform offers the potential to dramatically extend access to life-saving knowledge in low-income countries. For the Amazonian Yawanawa, ‘medicine’ has the power to travel you in a vision to a place you have never been. Hushuhu, the first woman shaman of the Yawanawa, uses VR like medicine to open a portal to another way of knowing. AWAVENA is a collaboration between a community and an artist, melding technology and transcendent experience so that a vision can be shared, and a story told of a people ascending from the edge of extinction. These experiences will be made available for all attendees at the World Economic Forum at the UN’s Sustainable Impact Hub on January 23rd, 2018 on Promenade 72, Davos Platz in Switzerland. Awavena can be experienced in the main congress hall, Portals exhibition.